Mark Zuckerberg has called for governments and regulators to play a more active role in establishing rules to control the internet. 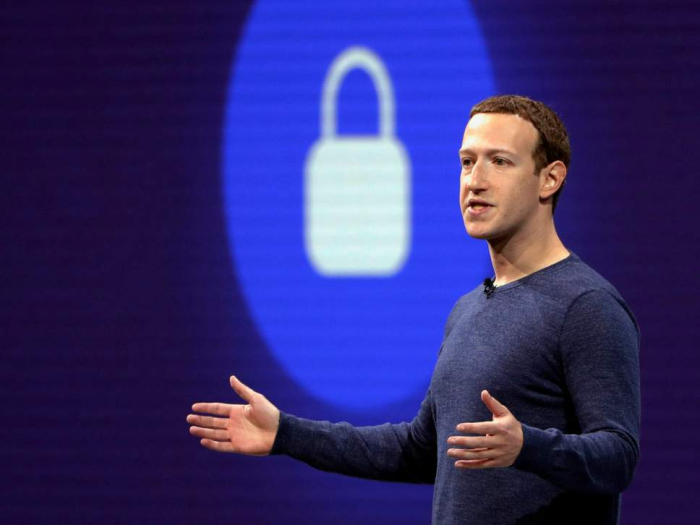 The Facebook founder called for stricter regulation of harmful content, election integrity, privacy and data portability in an op-ed published on Saturday in the Washington Post. “Every day we make decisions about what speech is harmful, what constitutes political advertising, and how to prevent sophisticated cyberattacks,” Mr Zuckerberg wrote. “These are important for keeping our community safe. But if we were starting from scratch, we wouldn’t ask companies to make these judgments alone. The op-ed is the most comprehensive response from the Facebook founder on the issue of government regulation to date. It comes two weeks after the Christchurch mosque gunman used the social network to livestream his attack, which killed 50 people. The video was subsequently copied 1.5m times. Facebook also faces questions over its role in the Cambridge Analytica scandal around data misuse during election campaigns. In his op-ed, Mr Zuckerberg called for new regulation in four areas: harmful content, election integrity, privacy and data portability. Mr Zuckerberg said legislation was important for protecting elections and it should be updated. He said that Facebook had already made significant changes around political advertising. With the European Union elections due to take place in May, Facebook has already said any advertisers in the EU will undergo tighter checks amid fears of foreign interference. On Friday, the site also started to label political adverts appearing in EU countries to show who the advertiser is, how much they paid and who they have targeted. However, in his op-ed, Mr Zuckerberg said that deciding whether an ad was political was not always straightforward. “Our systems would be more effective if regulation created common standards for verifying political actors,” he wrote. “Online political advertising laws primarily focus on candidates and elections, rather than divisive political issues where we’ve seen more attempted interference. “Some laws only apply during elections, although information campaigns are nonstop. And there are also important questions about how political campaigns use data and targeting. On the subject of harmful content, Mr Zuckerberg said that Facebook was creating an independent body so people could appeal against its decisions over what was posted and what was taken down. “It’s impossible to remove all harmful content from the internet, but when people use dozens of different sharing services — all with their own policies and processes — we need a more standardised approach,” he wrote. Mr Zuckerberg said Facebook already published transparency reports on how effectively it was removing harmful content, and said he believed every major internet service should do this quarterly. In the wake of the Christchurch shootings, Facebook has already promised to explore restrictions on live-streaming and has said it will ban white nationalism and separatism on the site from next week. In terms of data protection and privacy, Mr Zuckerberg said a globally harmonised framework was required. “I believe it would be good for the Internet if more countries adopted regulation such as GDPR as a common framework,” he wrote. He said this would require clear rules about who was responsible for protecting information when it moved between services. Mr Zuckerberg appealed to governments around the world to develop rules to regulate the internet. “I believe Facebook has a responsibility to help address these issues, and I’m looking forward to discussing them with lawmakers around the world,” he wrote.